Born in Sierra Leone and a Gambian at heart, Ousman Camara finds himself invested into the north Minneapolis community where he envisions success not only for himself, but for those around him as well. His fulfillment as a businessman is not solely derived from financial progression, but rather the earning of trust and building relationships with his community. Ousman's life journey has thus far taught him about what it means to take risks, to believe in the voices of one's community and lastly, how the power of perception can change everything. After moving from Gambia, Ousman found himself living in New York with his sister and decided that it was not for him. "My cousin lived in Minnesota and so I moved there." He soon began working two jobs and attending school full-time at Minneapolis Community and Technical College (MCTC) to study business administration. Life was quickly moving for Ousman as he took on opportunities of interest as they came. With only 26 credits left to graduate, Mr. Camara quit his two jobs, put school on hold and went to work with a friends who owned a convenience store in Hopkins. 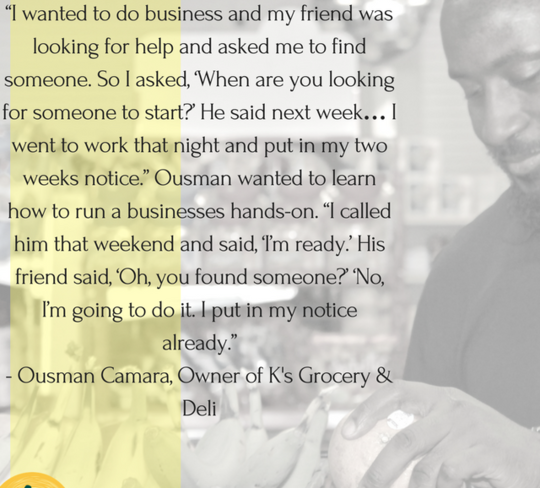 "I wanted to do business and my friend was looking for help and asked me to find someone. So I asked, 'When are you looking for someone to start?' He said next week... I went to work that night and put in my two weeks notice." Ousman wanted to learn how to run a business hands-on. "I called him that weekend and said, 'I'm ready.' His friend said, 'Oh, you found someone?' 'No, I'm going to do it. I put in my notice already. The Department of Justice's Office of Community Oriented Policing Services (COPS Office) today released an after-action report of the City of Minneapolis and Minneapolis Police Department's (MPD) public safety response to the protests, demonstrations and police precinct occupation that followed the November 2015 fatal shooting of Jamar Clark. The review, requested by Minneapolis Mayor Betsy Hodges and Minneapolis Police Chief Janee Harteau, specifically focuses on the 18-day period of police response to protest activities including the occupation and demonstrations in and around the fourth precinct police station. Find the Statement of Welcoming on the YCB website. On March 15th, 2017, US Department of Education Communications and the Forum for Youth Investment provided an overview of the web-based tool and guidance for Promise Zone communities to effectively use the tool as a resource development tool to support a community based change agenda. US Department of Education and Jobs for the Future will also announce the development of a community of practice that will provide a limited number of Promise Zones and Performance Partnership communities an opportunity to develop their own fiscal map. Two of our Promise Zone VISTAs, Sharin Tellez and Helina Haile, spent their Saturday morning conducting mock interviews for youth that are involved in the Kitty Anderson Youth Science Center (KAYSC) program. 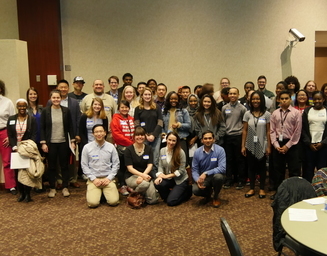 The youth that participated are in grades 9-12 and are a part of a racial equity initiative that bridges youth of color with STEM related projects. There are various cohorts that are involved in separate issues that range from healthy food access to creating apps. The youth were very impressive! Some arrived with their resumes in tow, while others had the experience of participating in the KAYSC program since middle school. We would have hired them all if we could! Applications are now open to participate in the 2017 Tiny Fields Project. 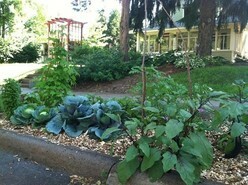 City of Minneapolis Residents are welcomed to apply to the Tiny Fields Project. The Tiny Fields Project teaches Victory residents to grow their own vegetable gardens by providing participants with a garden kit and other resources needed to successfully grow and harvest produce. The kit includes seeds and seedlings to plant a 7ft x 12ft space with a variety of vegetables. Graduation rates for Minneapolis Public Schools are continuing to climb, with 67 percent of students graduating within four years - the highest graduation rate in the district has seen in the last 10 years. With Junior guard Taylor Johnson battling foul trouble, senior guard JaQuan Sanders-Smith picked up the slack, scoring a game-high 22 points and leading Minneapolis North to an 81-65 boys' basketball victory over St. Paul Central in the Twin City championship last Saturday. Here in north Minneapolis, there's a bullet train running through our backyards. When are the rest of you going to stop averting your gaze and do something real to help us out? The Met Council is facing a projected $74 million transportation budget shortfall, and on Monday the Transportation Committee will talk about ways to plug the gap, including raising bus and rail fares. Some service reductions also are being considered. In Facebook CEO Mark Zuckerberg's nearly 6,000-word manifesto published last month, he laid out a number of global ambitions he had for the social network in the days ahead - including one where its users became more "civically-engaged" and voted more often. That's why Hang helped found the Hmong American Farmers Association (HAFA), which eventually built a 155-acre farm just south of St. Paul where Hmong farmers would have access to year-round farmland.